The Annual Report and Proposed Budget Document is compiled for the Governor and General Assembly in compliance with three statutes: Sections 5/1A-4E, 5/2-3.11 and 5/2-3.47 of the School Code. As required, this report includes an analysis of the condition of education in Illinois and a plan of action to address identified needs and problems to meet the challenge of preparing students for the 21st Century. Librarian Remarks: Titles may vary. 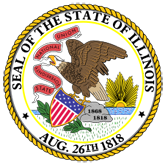 continues: Annual Report - Illinois State Board of Education (OCLC# 3173538).